A seven-foot plaster model from 1916 of Abraham Lincoln for the Lincoln Memorial by Daniel Chester French, as seen at Chesterwood in Stockbridge, Massachusetts. This model was used for pointing up and carving the final statue. Daniel Chester French's plaster reproduction of a clay model of Abraham Lincoln. 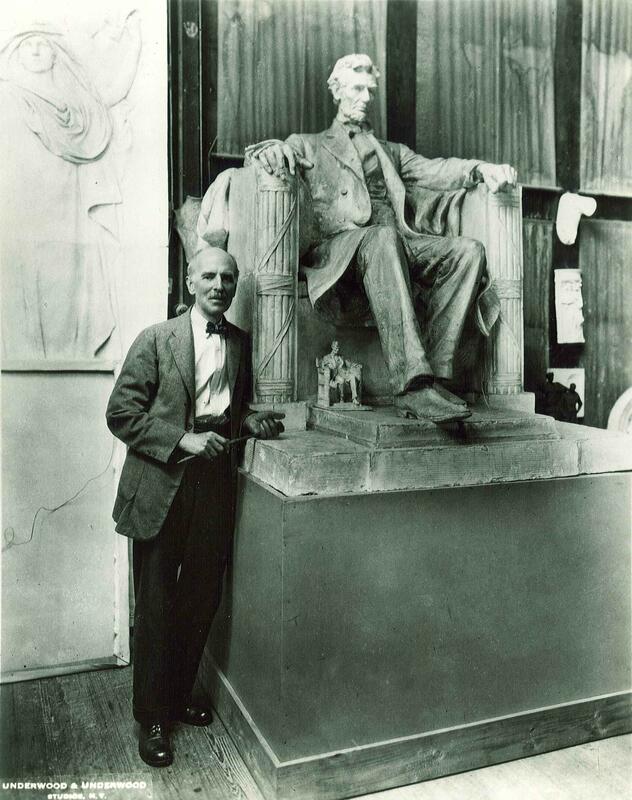 Daniel Chester French with his model of Abraham Lincoln at Chesterwood. The marble, 19-foot statue of Abraham Lincoln at the Lincoln Memorial in Washington, D.C., was designed by Daniel Chester French. Ana Peña says the statue of Lincoln makes her "choose the right thing to do," as Lincoln did. Plaster casts of hands hang along a wall in Daniel Chester French's studio at Chesterwood. He cast these from the hands of his models. The house and studio at Chesterwood in Stockbridge, Massachusetts. It was the home of Daniel and Mary French. The house and studio at Chesterwood in Stockbridge, Massachusetts. They were designed by architect Henry Bacon, who designed the Lincoln Memorial. The bedroom of Margaret French Cresson, the only child of Daniel and Mary French, who preserved Chesterwood. The garden in winter at Chesterwood in Stockbridge, Massachusetts. Daniel Chester French seated in the garden at Chesterwood. 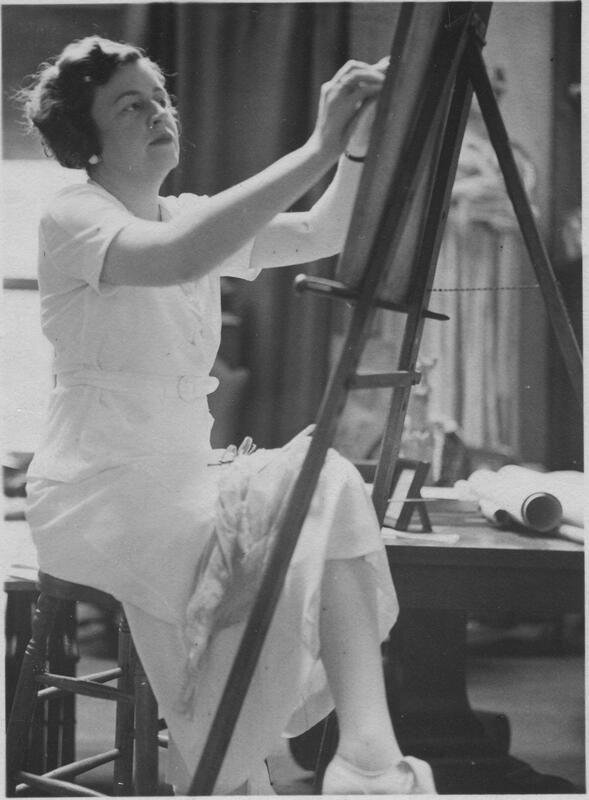 Margaret French Cresson in the studio at Chesterwood in 1933. Daniel Chester French biographer Harold Holzer at Chesterwood, looking up at a portrait of Daniel Chester French, painted by Benjamin C. Porter sometime between 1876 and 1878. A photo reproduction of John C. Johansen's 1928 painted portrait of Daniel Chester French on display at Chesterwood. The studio and hydrangea path at Chesterwood. Tanglewood, Jacob’s Pillow and MassMOCA are all go-to places in the Berkshires. But the one-time summer home and studio of sculptor Daniel Chester French is perhaps more of a hidden gem. Chesterwood in Stockbridge, Massachusetts, is celebrating its 50th anniversary this year as a site of the National Trust for Historic Preservation. Although neither the place nor the sculptor are particularly well-known, French’s artwork is. Many of French’s works are public monuments, invoking lofty ideas. Take the Lincoln Memorial in Washington, D.C. Most visitors don’t know much or anything about the artist. But they bring their own perspectives on American history to French’s vision when he designed the massive seated president. "I see a man who's thinking about the difficult choices he had to make," said Mat Bone, who was visiting the memorial from West Valley, Utah. Jane Hollday, who had traveled to Washington, D.C. with other students from Brooklyn College, said the statue showcases what African-Americans have been through. "Having someone fight for us who wasn’t personally the color of our own skin," Hollday said. "And it's just totally amazing where this country once were and where it is now. Even though we still have a long way to go — the difference." Ana Peña from Washington, D.C., visited the memorial with her young sons, Anthony and Alonso. She said the statue gives a sense of empowerment. "You have the power to design your life — and choose the right thing to do, as Lincoln did," she said. "And hoping I can teach that lesson to my boys." The man who made this very public art worked for six months of the year tucked away in a studio in the Berkshires. "This is a unique building," said Donna Hassler, the executive director of Chesterwood. "There is not another building like this in the United States." The studio has a 26-foot-high ceiling — tall enough to accommodate a statue of George Washington on a horse, the first piece French worked on here. Above are big windows. "These are north-facing skylights, which allowed a certain type of light," said Hassler. "A very even kind of light. It didn’t cast harsh shadows." Perhaps because French depicted human figures in their best light — both idealized and realistic. "Look at his foot," Hassler said as she pointed out a figure carved in relief — representing knowledge — shown balancing a book over a strong shoulder. It now graces a bronze door at the Boston Public Library. "The veins are showing in his foot. I mean, it’s so realistic. This figure could pop off of the plaster relief and be here in life." French’s work achieved more than realism. It inspired people. And his studio was designed to help him envision his work as the public would see it. The floor boards flip open to reveal a mini-train track that leads outside, where French wheeled his sculptures. "He wanted to work in the natural light of the day," Hassler said. "He also wanted to get the perspective of walking away from the figure, and seeing it from different angles." At Chesterwood, French could see his work from quite a distance. He owned 150 acres. Holzer said the landscape intoxicated the sculptor from the first time he saw it in 1896. French and his wife, Mary — traveling from New York on train, and then horse and buggy — came up looking for a summer place. Mary’s reaction to the town of Stockbridge? Kind of like New Yorkers visiting today. “‘I don't know about you, but I'm staying here.’ And Dan looked out at that mountain, Monument Mountain to the south, and he said, ‘This is going to be my paradise,’” Holzer said. French came from a family of men who had led public lives. His father, Henry Flagg French, was the assistant secretary of the treasury under President Rutherford B. Hayes. Later, his father served as the first president of the Massachusetts Agricultural College, the precursor of UMass Amherst. One of French’s grandfathers was the attorney general of New Hampshire. The other was the chief justice of the New Hampshire Supreme Court. Holzer said French’s father had hoped both of his sons would pursue a career in law or public service. In a way, they served the public, but through art. William M.R. French, Daniel's older brother, became the first director of the Art Institute of Chicago. And as a teen, Daniel became interested in sculpting. “French's father allowed him to sort of test his skills in front of May Alcott,” Holzer said. May Alcott was the youngest sister of author Louisa May Alcott, and had inspired the character Amy in “Little Women.” She was an artist and became French's first mentor. “She said he's really talented, he's really gifted. He can have a life in art. And that's when his father became his biggest cheerleader,” Holzer said. French went on to become a prolific sculptor. He made the Minuteman statue in Concord, Massachusetts, and the statue of John Harvard, in bronze, gazing out on Harvard Yard. And the statue at the Lincoln Memorial. Even a century later, his work resonates. 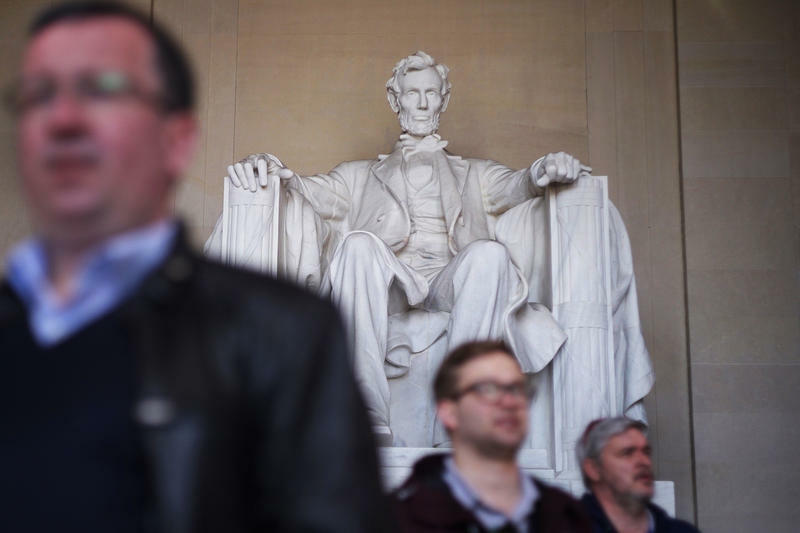 "One feels not only his reverence for Lincoln," Holzer said. "But one feels Dr. King, and the presidents-elect who go there on the evenings before their inaugurations. 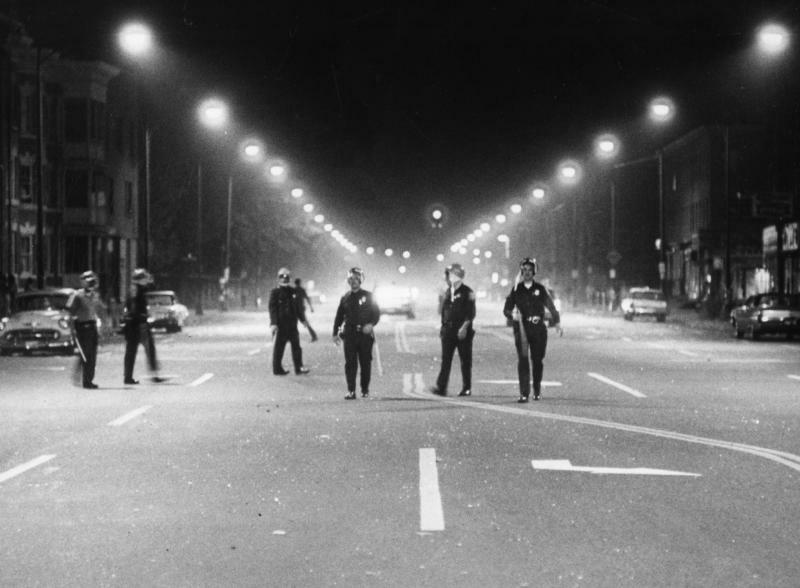 It's the backdrop for American aspiration, even though it had a terrible beginning." Holzer explained the 1922 dedication of the memorial was painful for African-Americans, who arrived early because of their affection for Lincoln. 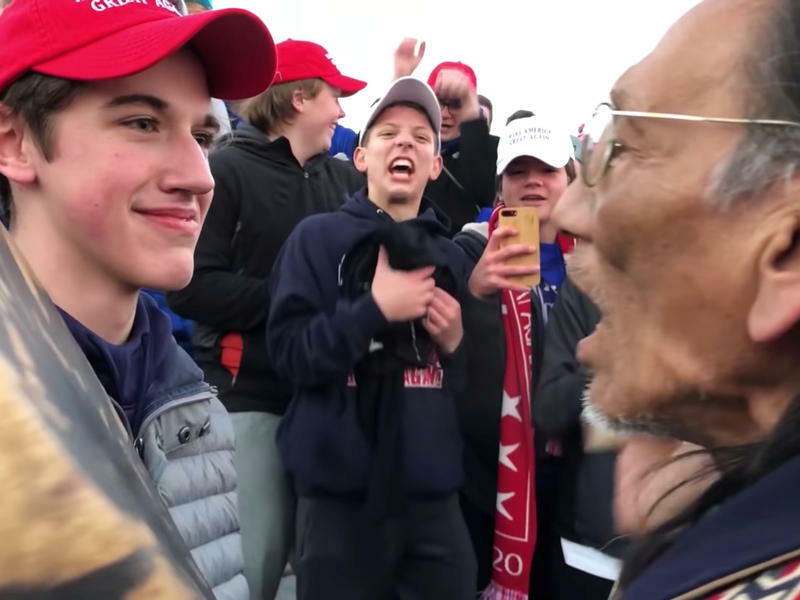 "They were all rousted out of their seats by mounted police, and moved to the back of the crowd on benches without backs, and replaced by Confederate veterans in their tattered uniforms, and treated really shabbily," Holzer said. "The N-word was hurled around. And meanwhile, the only African-American orator of the day had his remarks censored." Holzer said there’s no record of French’s reaction to the ceremony’s segregation — or whether he was even aware of it. That summer, French returned to Chesterwood. In all, he spent more than 30 seasons there. "This place marks the dividing line between the striver and the success," Holzer said. "He gets here and he makes it. It's not only the acquisition of the property and its use and its inspiration — it's the phase of his life when he emerges as the leading sculptor in the United States." French died upstairs in the residence in October 1931. He was 81. Hassler said that decades later, in 1973, his daughter, Margaret French Cresson — the only daughter of Daniel and Mary French — also died there. Cresson was also a sculptor. "She preserved Chesterwood," Hassler said, "by eventully transferring the ownership to the National Trust for Historic Preservation, who are the stewards of this property today. If she had not done that, it's hard to say whether or not we would be able to visit this site." Chesterwood today still features gardens designed by French. 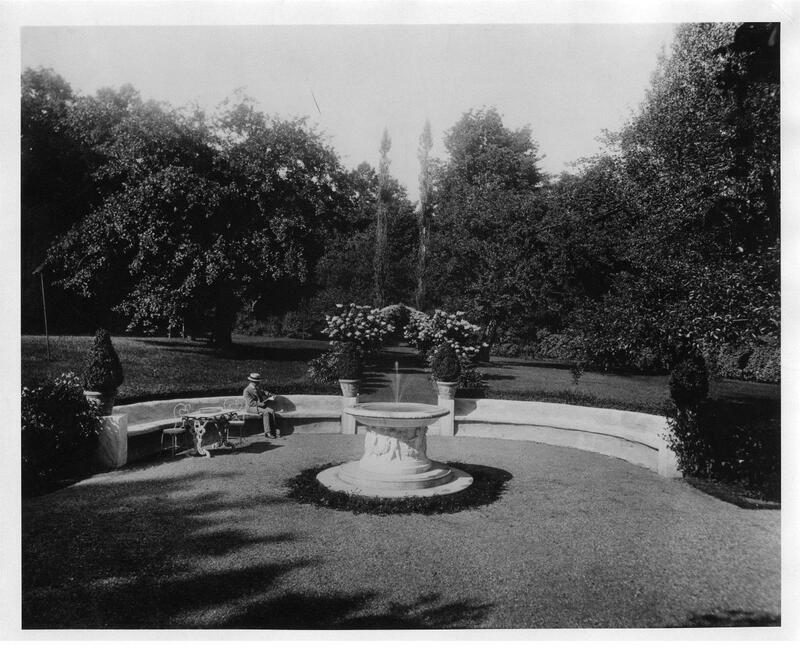 A semi-circle of stone benches hug a fountain. A path, lined with hydrangea trees, leads into the woods. It’s a place that nurtured an artist, whose work continues to speak to people today.